Help Lexington Medical Center Reach 100,000 Views! 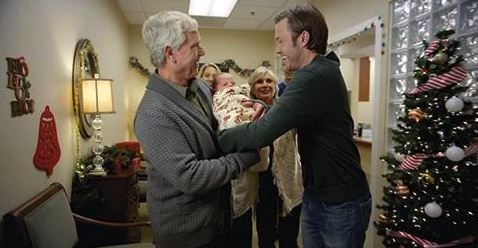 Have you seen Lexington Medical Center’s 2014 Christmas commercial yet? From thoughts about parenthood to the Christmas season, the commercial focuses on the importance of family – all from a baby’s perspective. We’re hoping to share this uplifting message of hope, health and joy with as many people as possible during the holidays. Our goal is 100,000 views. Please help us by watching the video on Facebook (here) and sharing the post with your family and friends. This year’s commercial was filmed on the hospital campus. The 60-second spot features LMC staff members including doctors and nurses, and a cast of babies who were all born at the hospital. Children of LMC employees have speaking roles as the voices of the babies. The commercial also highlights the exceptional maternity services at the hospital. Lexington Medical Center delivers more babies than any other hospital in the Midlands, and has been voted “Best Place to Have A Baby” by readers of Midlands news publications. From our Lexington Medical Center family to yours, Merry Christmas. This entry was posted in Babies, Christmas, Columbia, Holiday Season, Holidays, Lexington Medical Center and tagged Best Hospital to Have A Baby, Christmas Commercial, columbia sc, every woman blog, lexington medical center. by lexingtonmedicalcenter. Bookmark the permalink.